Golf a far. Well what can we say that hasn’t already been said Murrindindi Masters Girls what a great Job! 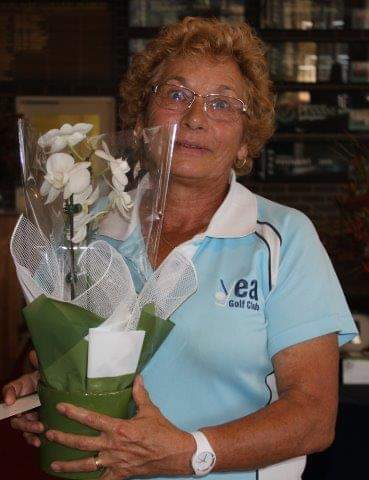 The way you represented our wonderful Golf Club no one could ask for any more! We as a club are just so proud of your achievements! Back on home turf we had our first round of the Kath Homewood Memorial. The weather a little warm many red faces returned after the job was done. We can be assured that the heat will disappear and then we will be saying it is too cold but hey that’s what we do. A wee tussle for the the honours between our captain Vicky Butler and Di Elliott both on 73. But alas after the dreaded count back saw our Captain the victor. Well done girls. Today it was off to Kilmore. Unfortunately through no fault of their own a team was one short, hence no bowl was in contention but one whom fell short on the count back yesterday was not going to be done today. Took the bull by the horns so to speak and came in to win B Grade with 41 pts and 2 player of the year points was Non other than Di Elliott. Go Girl! Next Wednesday another Monthly Medal up for grabs then Seymour for their bowl. Happy Golfing! Sam, Carl and Jeff Win Ambrose.